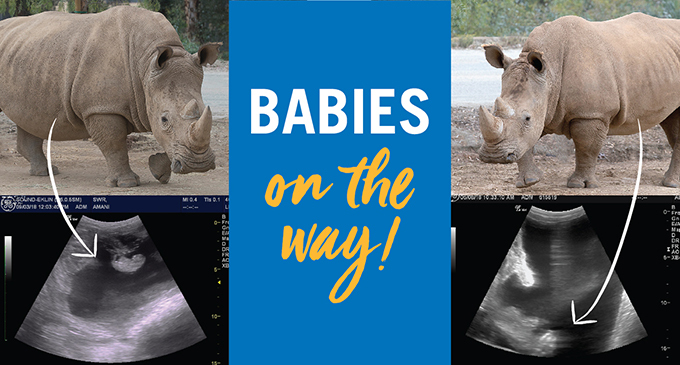 Your gift to the Rhino Rescue Center could help us buy a rhino-sized baby monitor to keep an extra-close eye on Victoria, Amani, and their calves, around the clock. For gifts of $1,200 or more, your name (or that of a loved one) will be listed on the San Diego Zoo Global annual conservation recognition plaque. This plaque will be displayed at the San Diego Zoo from Spring 2020 to Spring 2021.